Happy 58th Birthday Nigeria !!! 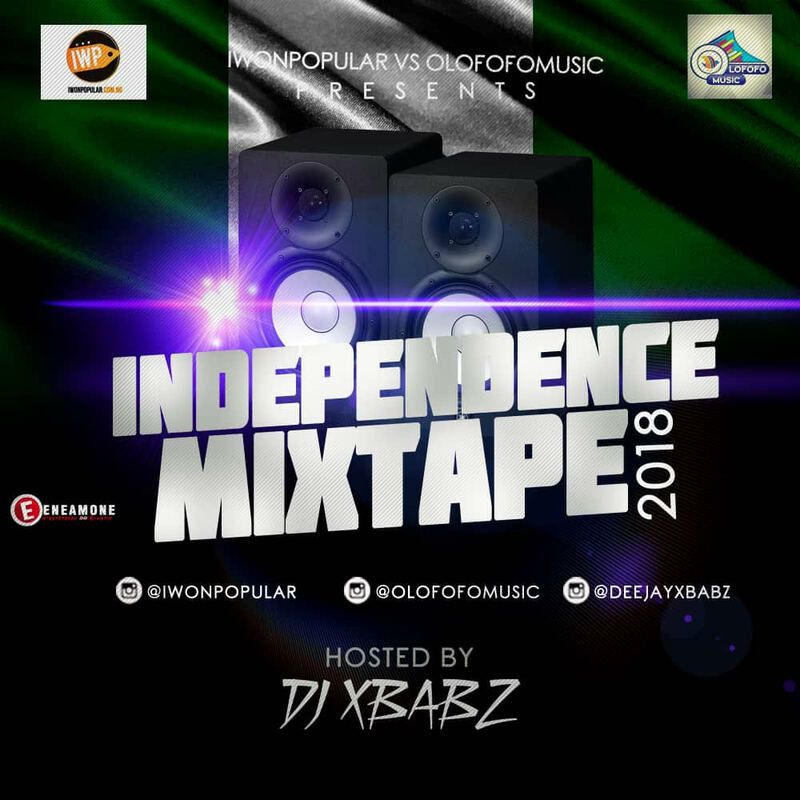 as iwonpopular digital Promotion and Olofofomusic dishes out this new mixtape tagged Independence Mixtape 2018 . The aim of this Mixtape is for Celebrating Nigeria Our beloved country at Independence ( October 1st ) and Planet TV Video Disc Jockey ” Shoneye Babatunde A.k.a DJ Xbabz ” aka 4EverWavyDJ Hosted This Mad Mixtape of Top Nigerian Songs to set your dancefloor on Faya ,The Snazzy Dresser popularly known for his video mixes which air on the cable network music station has surpassed the capabilities of most of his counterpart DJs and the vibe he always brings is beyond powerful.